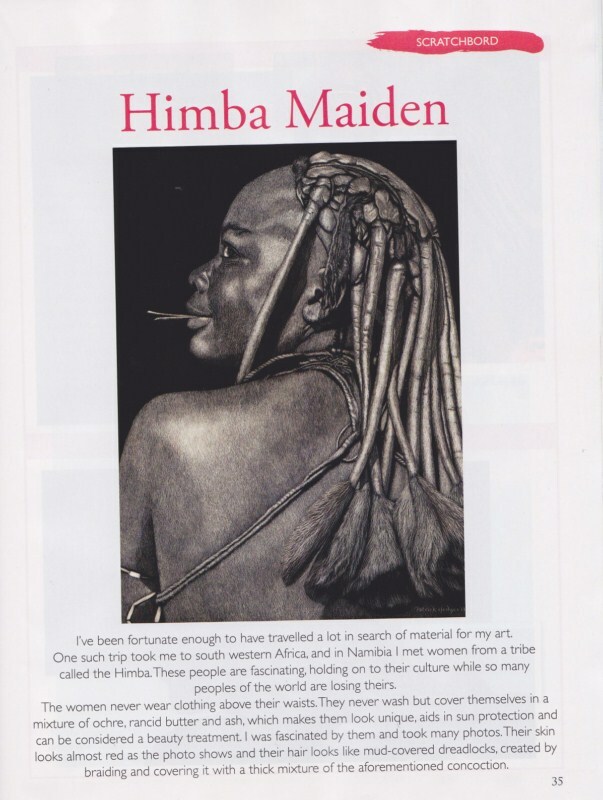 In the latest edition of Australian Fine Art and Decorative Painting magazine, I have a six page step by step demonstration of my Himba Maiden in scratchboard. If you are in Australia, grab an edition, it’s not expensive and a well printed magazine, it’s volume 18, number 11. If you are too far away, here’s a scan of the first page with the finished piece.